DUBAI, U.A.E. - 1st September 2010 - Emirates' expanding A380 fleet is generating interest from airports across the world as Manchester becomes the latest city to be served by the superjumbo. The international airline of the United Arab Emirates is now the world's largest operator of the A380 with 12 in the fleet. A further order for 32 A380s, announced during the Berlin Air Show in June, has prompted a flurry of enquiries from airports around the world. Mr Flanagan added: "People are realising that this is the passenger aircraft of the future. As a result of our announcement in Berlin, we have had enquiries from more than 20 airports across the world, asking whether Emirates would fly the A380 to their airports. These aircraft are a dream to travel in and a dream to have at your disposal for expansion. They are extremely popular with our passengers and where we deploy them, they fill up almost immediately - running at over 90 percent load factor." Information from Airbus shows that the A380 has now flown to more than 100 airports across the globe, either commercially or for events or test flights. The start of A380 flights to Manchester from today is the first time the world's largest airliner has operated a scheduled service to a regional airport. 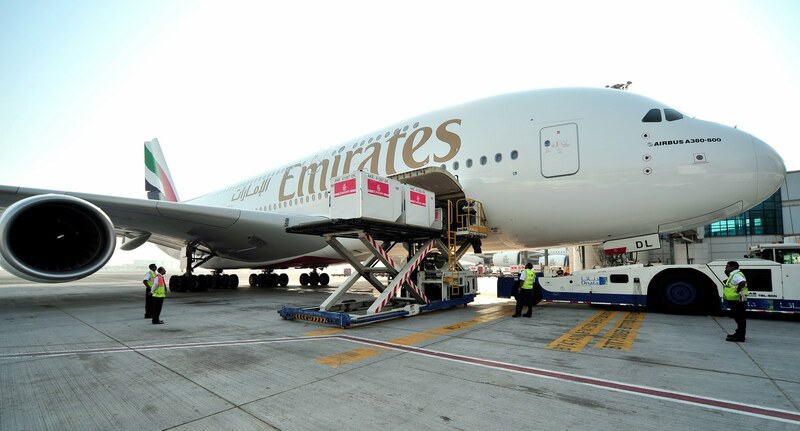 It is also the first time Emirates has brought its First Class cabin to the route. Manchester Airport's Managing Director, Andrew Cornish, said: "The start of daily A380 services from Manchester to Dubai is a moment in history for our airport and the wider region. It's of such significance that we're expecting thousands of people to visit the airport on September 1st to catch a glimpse of her first flight. We've invested around £10m to upgrade the airport's infrastructure to accommodate the flagship of the Emirates fleet and are very much looking forward to welcoming her for the first time." EK017 leaves Dubai daily at 0755hrs and arrives in Manchester at 1225hrs. EK018 departs Manchester at 1410hrs, arriving in Dubai at 0015hrs the next day. Emirates’ A380 is renowned for its First Class Private Suites, Onboard Shower Spas and Onboard Lounge for First Class and Business Class passengers, offering a wide range of drinks and canapés, as well as space to socialise or simply relax. Passengers in all classes can lose themselves in the quietness of the aircraft and the award-winning ice in-flight entertainment system. There are more than 1,200 channels of on-demand entertainment, including 200 movies from around the world, 100 TV channels, more than 500 audio channels, 100 video games and news headlines. 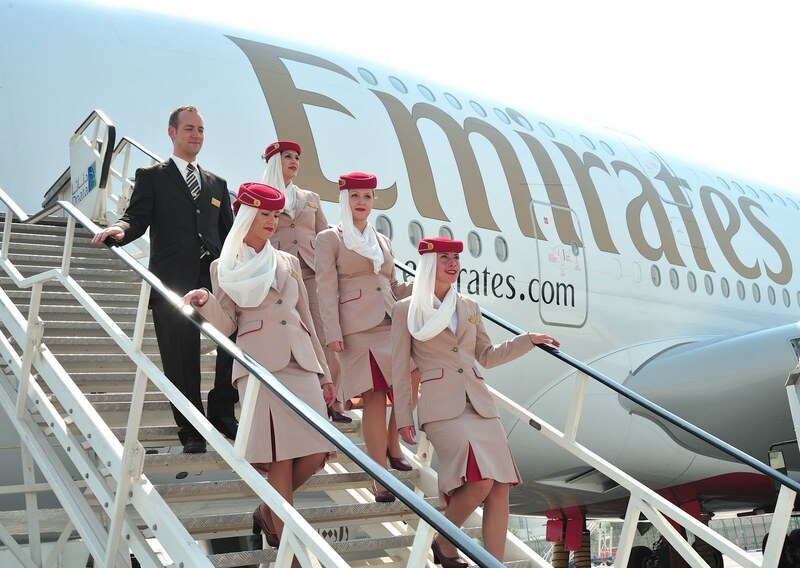 Emirates now operates A380s on the following routes: London Heathrow, Manchester, Paris, Sydney, Auckland, Toronto, Bangkok, Seoul, Jeddah and Beijing. Hong Kong will be added to that list from 1st October and on 31st October, the A380 will make a much-anticipated return to New York. Emirates is the world's largest customer for the superjumbo and its total A380 order book is 90 - with 78 aircraft still to come.